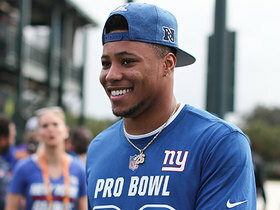 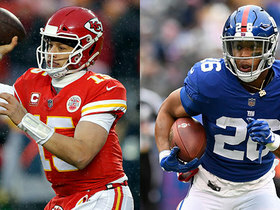 New York Giants running back Saquon Barkley dicusses looking forward to the 2019 season at this year's Pro Bowl. 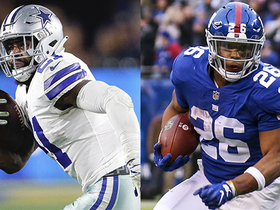 The "NFL Power Rankings" crew make their picks for 2018 NFL coach of the year, offensive rookie of the year, defensive rookie of the year, and Most Valuable Player. 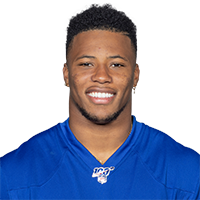 New York Giants running back Saquon Barkley breaks a slew of tackles on this 26-yard run. 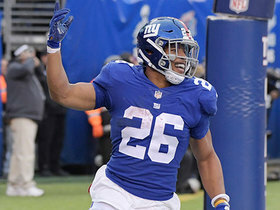 New York Giants Rookie running back Saquon Barkley breaks the single-season reception record for a rookie running back with 89 receptions, breaking the record previously held by Reggie Bush. 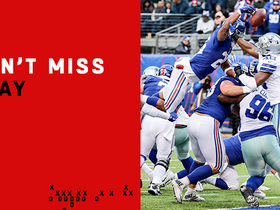 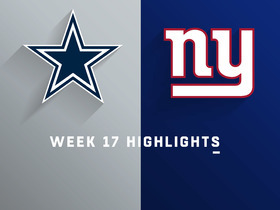 Watch complete highlights from the Week 17 matchup between the Dallas Cowboys and New York Giants. 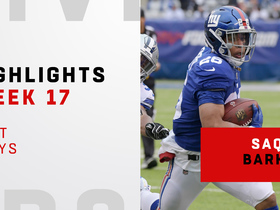 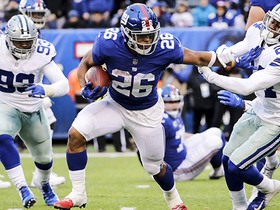 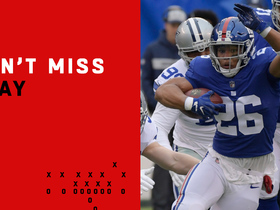 Watch New York Giants running back Saquon Barkley's best plays against the Dallas Cowboys in Week 17. 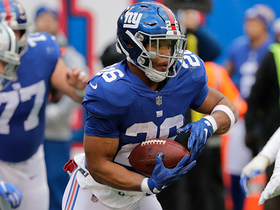 New York Giants running back Saquon Barkley capped off a phenomenal rookie season in Week 17 of NFL action.